Like a 40 mold. Made in China. 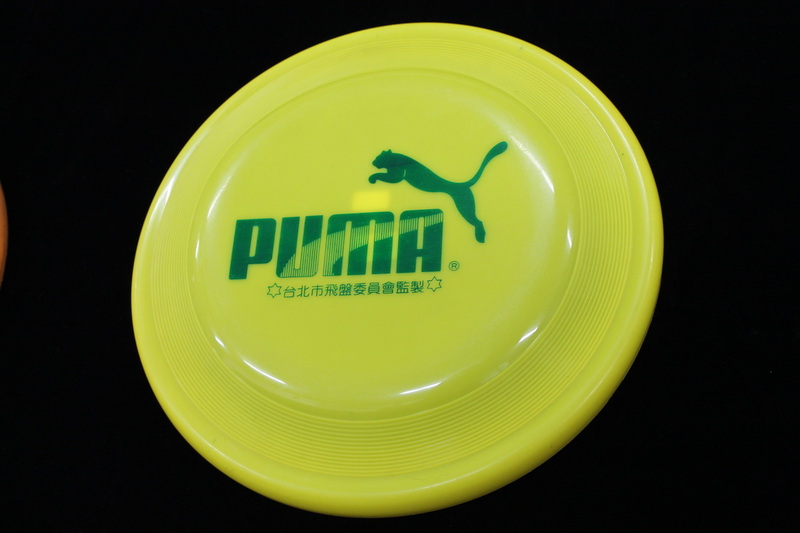 Looks a lot like a Pro, Hard plastic, Made in China. Like a 50 mold, Made in China. 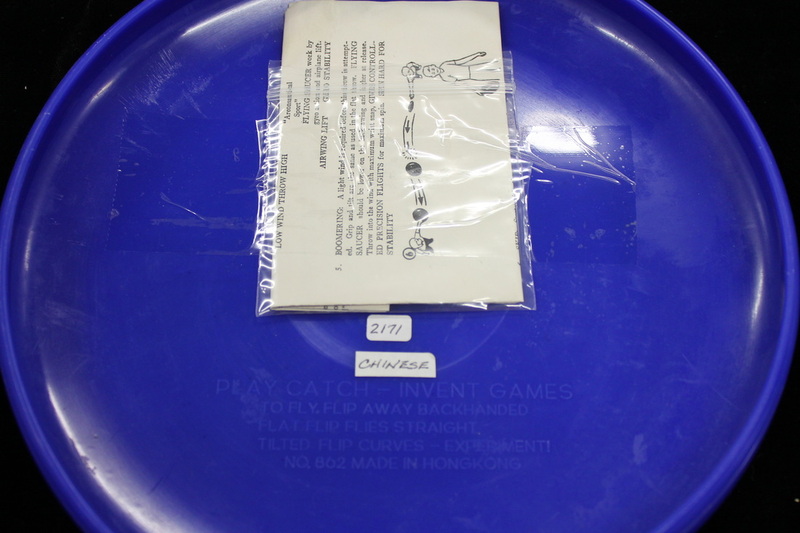 Underside of above disc, from Ralph's travels, guessing late 70s. Rim of above disc. Classic Brand X. 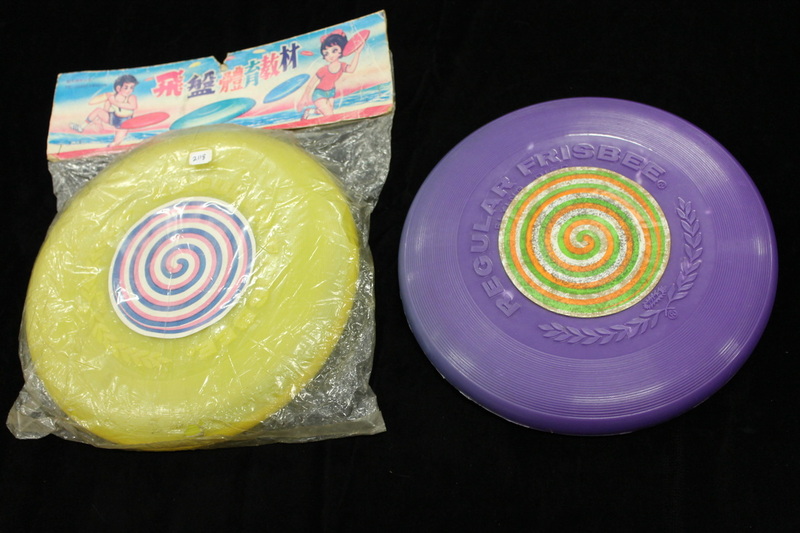 Soft rubber disc, looks like a Wham-o Pro to me! 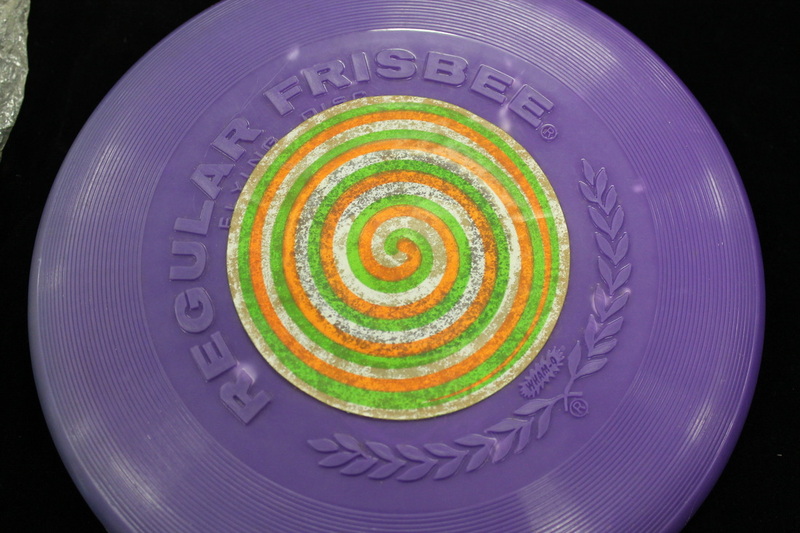 Lincoln International Auckland, Master Frisbee 166G R Gentil signature, not sure on this one, they use the word Frisbee if they were American Wham-o would have sued them. 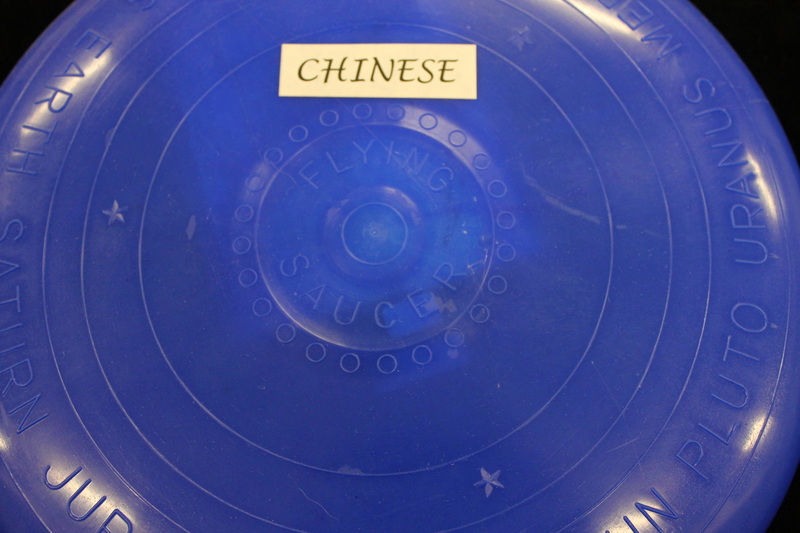 Chinese knockoff of a English disc. Xanadu Flying Ring made in China is a Knock off of Wham-o's G-70. Wonderful Toys ( Taiwan ) Moonlighter ( K/O ) Moonlighter-like label, instruction sheet. Justen 119 K/O Moonlighter, paper label. San Pablo Enterprises. Label has a date of 1979. Has a combo look of a Pro & a All American, no cupola. Better view of above insert. Unknown manufacturer 89G knockoff flight rings stippled rim, Japan. Unknown manufacturer 141G knockoff, flight rings stippled rim. Japan. 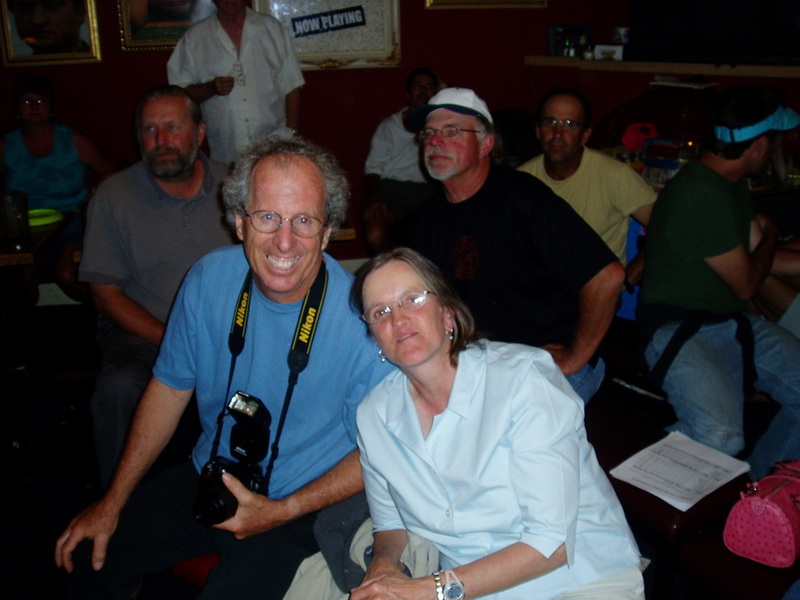 Thanks Mic Kramer for the translation. Unknown manufacturer ( Chinese ) Zoom Top knockoff. Unknown manufacturer Fastback and a 141G K/O, Disc is Dated and signed from 1989. On the underside of above fastback style disc. 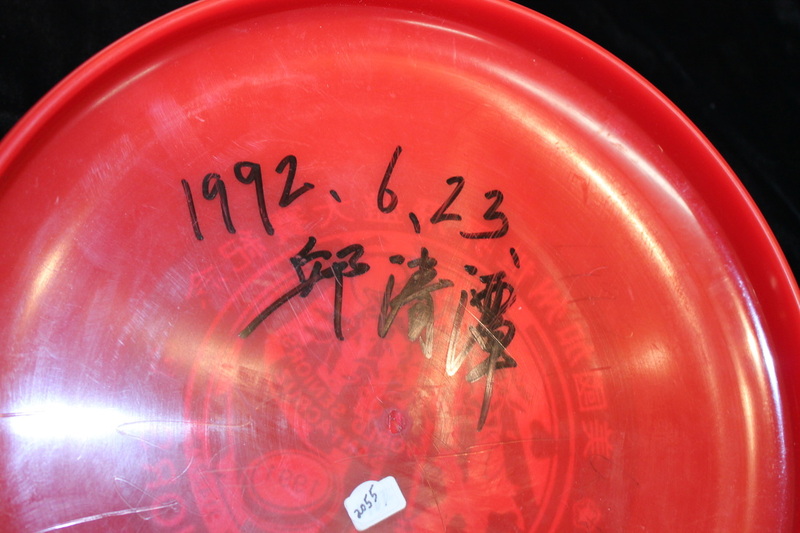 Unknown manufacturer 141G K/O Ralph Williamson traveled to Asia a few times to compete in disc sport games. this disc dated 1987. 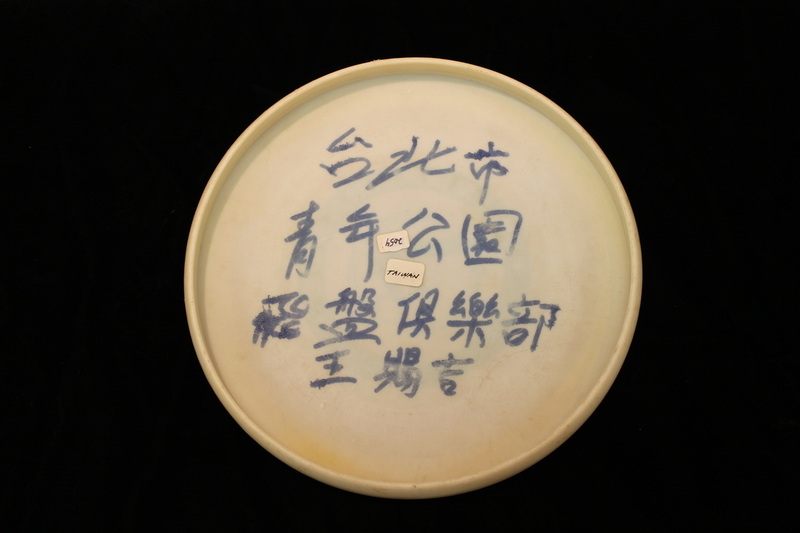 Unknown manufacturer, 119 K/O has raised lettering in Chinese. 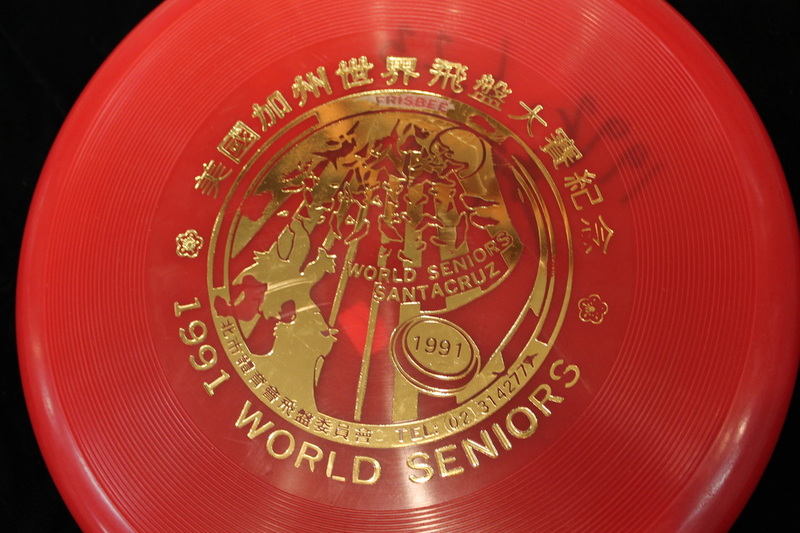 Not sure how many times Ralph played in Asia, many discs have a date of 1989. underside of the 119 K/O. A little ruff but in the package! 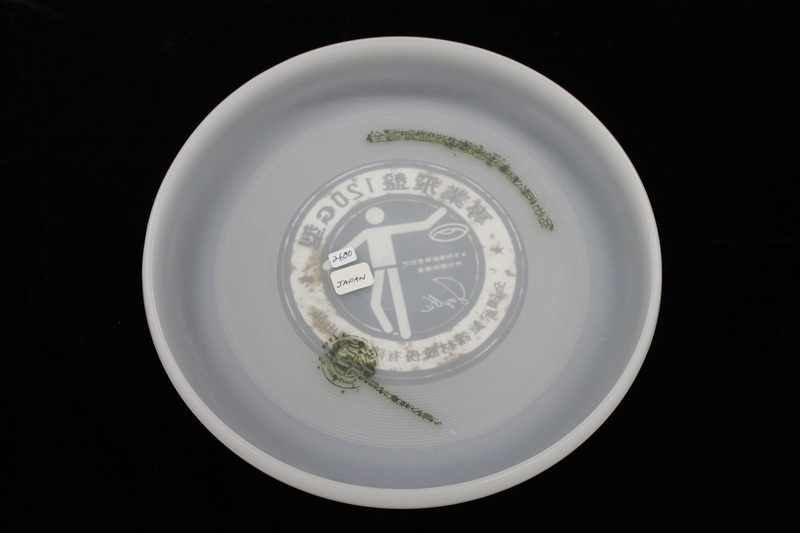 same as above disc. 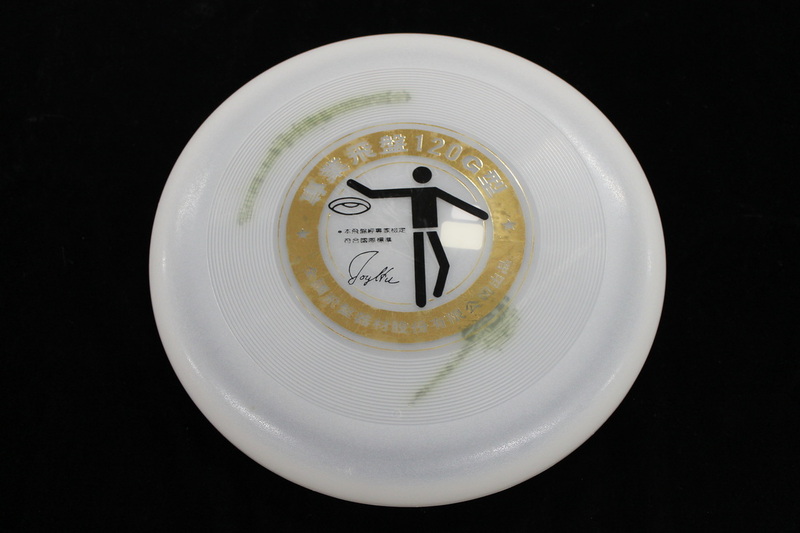 Chinese K/O of a Wham-o 141G , yes there is a trademark band with Frisbee but no mold number and plastic is different than a Wham-o. 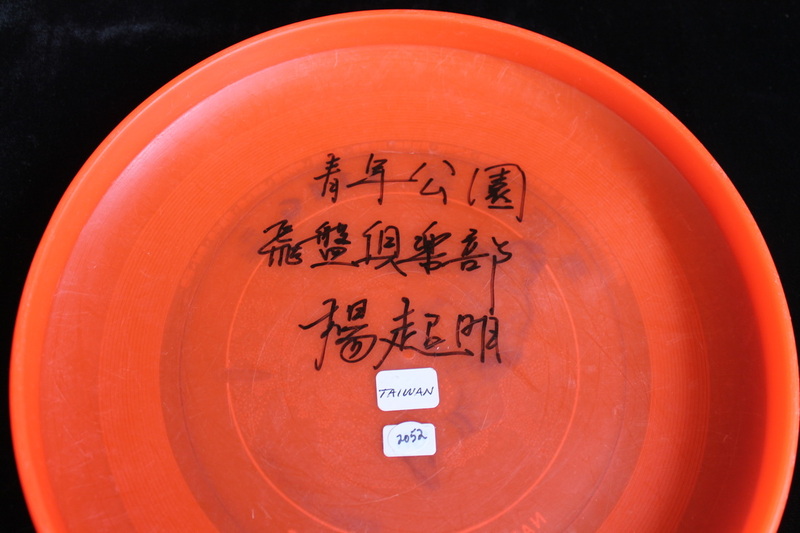 Chinese K/O of a Wham-o 119G, I got this disc ( and a bunch of others ) from Ralph Williamson, He played disc sports in Taiwan back in the day!